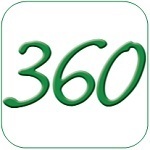 Exponential Training > 360 Feedback > How do the Management Skills of European Managers Compare? Small Medium Sized Enterprises (SMEs) make up over 90 per cent of employing organisations in all European countries: they are critical to the economy and have been identified as playing an important role in the re-generation of the European economy. SMEs face numerous challenges including: access to markets and expertise, tight cash flow, difficulties raising finance to invest and how to build their management capability to support the development and implementation of their plans to generate and sustain growth. SMEs often lack management capability. Research studies repeatedly identify a lack of management and leadership skills within the stock of SMEs. Rarely do any of the research studies identify which skills need to be developed. In addition, studies often treat SMEs as a homogenous group. 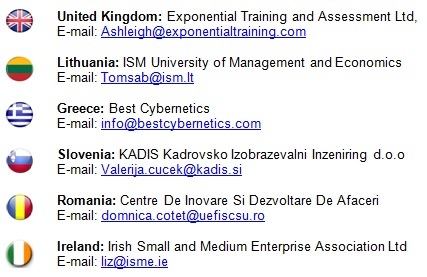 Between September 2011 and May 2012, over 300 SME managers from the United Kingdom, Slovenia, Romania, Lithuania, Greece and Ireland took part in a 360 degree management skills benchmarking study using a system called Perspectives 360. This study formed part of a Leonardo da Vinci Transfer of Innovation project: Perspectives 360. The project involved the assessment of managers from SMEs using Perspectives 360, a web-based skills benchmarking system. Perspectives 360 provides an individual skills report for each manager and provides the basis of an aggregate skills report for the sample as a whole. In addition to the skills report managers took part in a one-to-one feedback meeting with trained Perspectives 360 Facilitators. The assessment exercise used the Perspectives 360 Managers Edition which comprises six Core Assessment Skills (Planning, Communication, Team working, Leading, Personal effectiveness and Managing people) and twenty five Specific Skills.